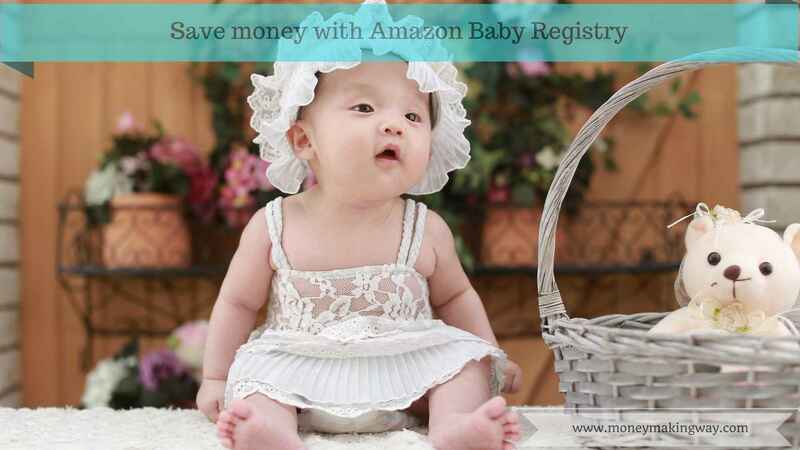 How to Save money with Amazon Baby Registry ? Amazon baby registry is a program under which you get discounted items on baby products. If you are planning for a baby this program can help you to save a substantial amount from your monthly expenses. There are many other ways to save money and get free stuff with Amazon like Amazon review sites, Amazon free gift cards and Amazon discounted products on Snagshout but this one is completely dedicated for newborns. Its only about discounted products for baby but this program will also let you know what all products you should buy for your baby. Under this program, you would be eligible to get 10% discounts on all your baby items. And if you are an Amazon Mom member with prime then it will be 15% on all purchases. Amazon baby registry program has listed the items according to the baby age which helps you to decide what all items you should go for. These are listed in slabs like 0 to 6 months, 6 to 12, 12 to 24 and up to 5 years. First, you need to enroll for Amazon baby registry. This can be done with your existing Amazon account and if you don’t’ have then you can create one. The registry must be done before 60 days of the baby arrival date. And you also need to ensure that they have a waiting period of 14 days after creating your registry account to eligible for discount despite the baby arrival date. Once you are eligible a message will appear on top of your registry directing view. All products which appear under this view would be eligible for discounts. The discount can only be used once so please ensure all the items that you are looking must be selected. It takes at least 6 hours for your registry to get active. Prior to this, you won’t be able to see anything. In order to enroll visit Amazon baby registry home page. And click on get started. Now you can login with your existing account or you can create if you don’t have. Supply the required details like baby arrival date, mailing address, who can see the registry make it private if you don’t want others to see it. Submit your request and you are registered. It will take up to 6 hours to make your registry searchable. It is additional feature through which you can add items to your wishlist which are not available on Amazon. This allows you to reserve the product without leaving the Amazon.com or getting the login on another website. All you need to do is to install their extension in your browser and the additional feature will get added automatically. There is maximum purchased of $5000 can be eligible for discount. You won’t be able to add more items once you reach the limit. Discount eligible in every 8 months period. The registry must be active 14 days before you are eligible. Discount is valid for 60 days before and 90 days after the child’s arrival date. All items should be selected while making the purchase because discount can be used only once. Amazon Baby registry is a great program to save money on baby products. This is something were almost everyone spends money then why not take the benefits if we can save something on our monthly expenses. And if you are Amazon mom member with prime then it gets more exciting as discount gets increased from 10% to 15%.